Artificial intelligence (AI) is already playing a positive role in the rail industry. Analytic tools are helping customers plan and book journeys, and data is helping to provide more accurate real-time journey information. But as Daniel Beutler, President of Trainline International, explains, there is still more to do to unlock the true potential of AI and its impact in rail. These latest innovations are being embraced by the industry and have already had a noticeable impact on how customers are planning and booking journeys – as well as providing a robust tool to help navigate delays and disruption like never before. It’s making the rail experience more intuitive and, ultimately, more inviting. To continue this rate of progression, more collaboration is needed from all industry stakeholders and, in particular, partnerships between carriers and tech companies need to further strengthen for the good of the customer. Customer expectation will always drive innovation and development – and ticket value will always matter to them. Recognising this, predictive pricing capabilities have become essential. These use predictive analytics to give customers a glimpse into the future and help them save money on tickets. With advanced data models and machine learning, they bring together complex datasets and analyse multiple factors to suggest the best times to buy tickets – and predict when fares are expected to rise, as the Trainline app now does. Our Price Prediction tool – the first of its kind for UK rail – analyses billions of historic data points, as well as real-time demand, to reveal when Advance ticket prices are likely to change. It’s been a huge success – by encouraging travellers to book early our app has saved them over £10 million so far – and we’re excited to be rolling it out to further markets soon. AI can also help employees provide better customer service, and we can look to other industries for inspiration here. KLM, for example, is using AI to drive its social media strategy. The Dutch airline rolled out a platform that took social media-based customer enquiries and generated suggested responses for customer service agents. Over time, the system learned the best responses to provide, based on whether customer service agents used or rejected them – and this system now supports over 50 per cent of the company’s customer service enquiries. 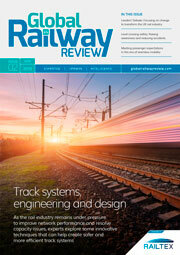 In rail, particularly during times of widespread disruption, customer service should be bolstered by real-time, AI-led technology that reduces the volume of straightforward questions routed through call centres and social media but seamlessly hands over to a human helper when questions are more complex. 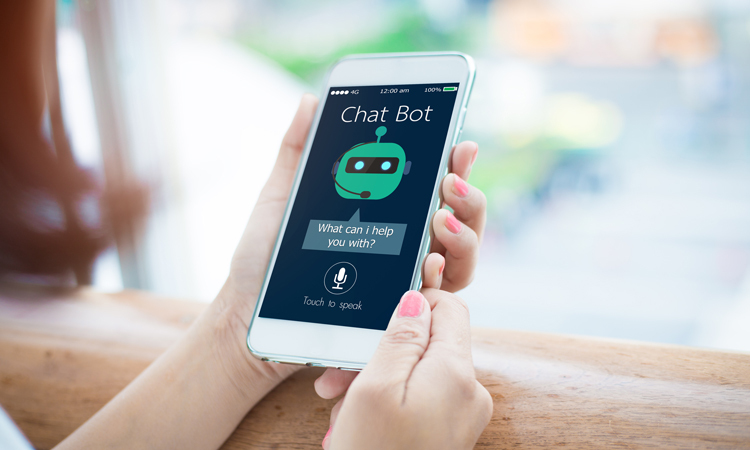 As such, in 2019, we’re likely to see increased innovative use of chatbots coming to the fore. At Trainline, we’re focused on doing just this, having recently launched a chatbot in our Android app that leverages Google Assistant capabilities to quickly help customers with queries such as: ‘How can I get a refund?’ without directly speaking to the customer service team. 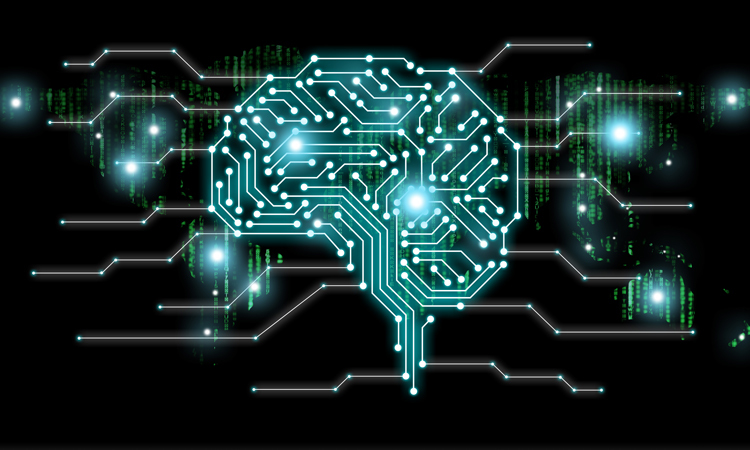 What’s more, AI can be extremely effective in alleviating some of the frustration experienced by customers and customer relations teams alike during network disruption. The meteoric growth of voice assistants, like the Google Assistant, Cortana and Siri, takes customer service one step further, opening up the possibility of automated, real-time assistance. 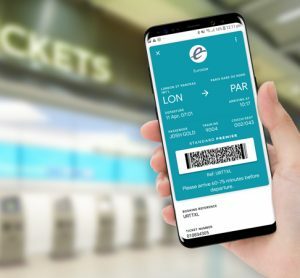 Travel tech companies are building new capabilities on the back of these assistants, allowing travellers to do everything from asking for real-time updates on their commute to purchasing tickets. By analysing existing data about delays and sharing it with customers in smart new ways, these innovative technologies have a further role to play in keeping the train travel experience streamlined. However, the data they need is not always where you might expect it. For example, in the UK, we realised a lot of information about delays was being shared by operators on Twitter. The social platform is being used to help operators get alerts out rapidly to customers – often before the national rail data feeds formally communicate them. So, we built an AI that can ‘read’ Twitter, understanding the information being shared and automatically providing tailored updates via our voice app to travellers that are affected. AI has made the process of getting timely and relevant information to our customers even faster and more convenient – now our voice app users can simply ask: ‘What’s my commute looking like?’ to get a real-time overview of any disruption that may affect their journey. While developments in AI are exciting, we’re still some way from unlocking its true potential. And success depends on numerous elements working in harmony. While cloud architectures aren’t new, many players within the rail industry don’t have cloud-based technology, often limiting their development teams. What’s more, modern cloud providers often offer far greater security than most businesses could achieve on premises. Trainline moved across to Amazon Web Services to become 100 per cent cloud based, and it’s provided us with greater flexibility, agility and scalability, underpinning continuous technical development and growth. At the very core of AI progress sits data – the fuel of AI. Data provides the raw materials for intelligent systems to draw on and learn from, helping us to develop new solutions and approaches to challenges. 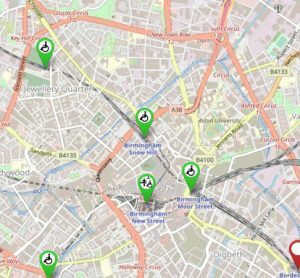 We recently shared our own data with Etalab, the French government’s open data portal, providing access – in a common language – to information on 30,000 stops, stations and cities. By sharing this data, other travel technology companies will be able to use it to build new innovations and provide a better service for travellers. Travel data is often held by a variety of different stakeholders, and organised and aggregated in different ways. Breaking open these silos of information and creating universal standards for data is an ongoing task for those in the travel technology industry. However, it’s an activity which is essential to the continued progress in our sector. Transport for London (TfL) is another organisation who have recognised this, opening up its data streams to developers and unleashing a wave of innovation with it. 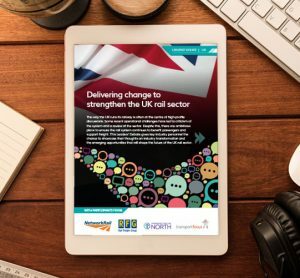 The Joint Rail Data Action Plan, published by the UK government in August 2018, further promotes the smarter sharing of data. A framework for government and the rail industry to foster greater data openness is a strong starting point, and we hope this will be followed by further policy support and private enterprise initiatives. Crowdsourcing is another way to gain access to a greater pool of data and it can be surprising how open other travellers are to sharing information that makes journeys better. BusyBot in our app uses crowdsourced data to help passengers find an empty seat on the train – it’s been fantastic to see that every day over 26,000 travellers use it to help themselves and each other find a place to sit. With age comes complexity, and our industry is not short of heritage – there is huge opportunity for us to enhance the customer experience. The factor that will most affect the progress of AI developments in the rail sector is the rate at which the industry pulls together and collaborates. If carriers, technologists and policymakers can continue to encourage and enable data openness and a better service for the customer, then we have the building blocks of a sustainable and extremely exciting future for rail. Daniel Beutler is President of Trainline International, overseeing the growth of Trainline outside the UK. Prior to this role, he was General Manager at Trainline International, with a focus on building commercial relationships with carriers globally, markedly increasing the number of Trainline’s carrier partners from 90 to over 200 today. Prior to this, Daniel served as COO at Captain Train, the company acquired by Trainline. 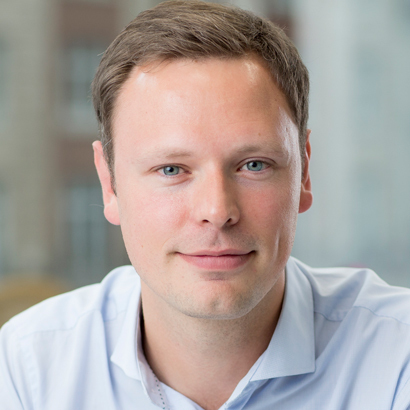 His previous experience includes a lengthy stint at Deutsche Bahn where he held roles including CEO of France, Director of Western Europe Sales and Marketing, and Director for Emerging Markets.